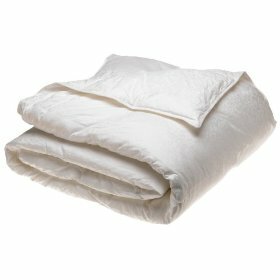 If you suffer from allergies and have been looking for a comforter that doesn’t have feathers or down but delivers the same warmth and comfort without weighing a ton. Well that’s what you get with the Beyond Down Gel Fiber Comforter . This gel fiber comforter uses a micro gel fiber combined with a sturdy baffle box construction making it warm and allergy free. 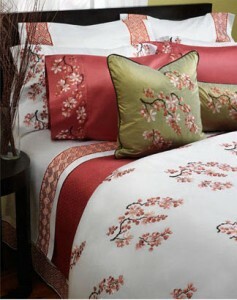 Made up of gel fibers that mimic the feel of pure down, this comforter lives up to the expectations of most consumers. According to all the reviews posted it is comfortable and toasty warm. One reviewer, stated it was actually a little too warm for their taste, and that they had to adjust their thermostat, but a timer can alleviate that problem. Allergies are pretty much a thing of the past as promised say reviewers who had to stop using traditional down comforters. The baffle box construction keeps the gel fiber in place and the fibers themselves feel enough like down to warrant a thumbs up. The comforter itself does not weigh that much and is quite light to lift. 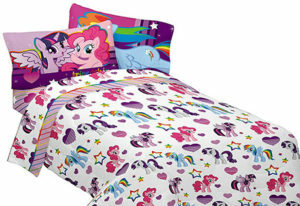 One consumer did state that they had to fluff the comforter once in a while to redistribute the gel fiber more evenly. 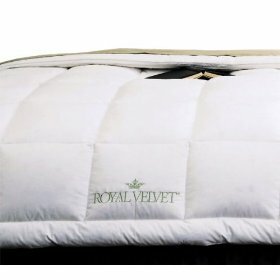 This product is bragged on by one feather-allergic reviewer who said she had not expected to be able to get the feel of real down from an artificial replacement, but this comforter proved her wrong. Only one reviewer said they would not buy it again, and their complaint was that it was too hot to sleep under. Overall, it looks like this is a perfect product for cold climates, and doesn’t require much help to keep sleepers warm. The Nautica Eastbourne Plaid Comforter is an attractive new edition to the Nautica collection. The comforter has khaki, classic red and and blue stripes and it coordinates nicely with the Nautica Cape Plaid sheet set. Having a medium weight, the comforter keeps you cozy and warm without smothering the sleeper. There are no reports of the filling thinning out, or bunching up in spots throughout the comforter. This is an excellent start, as many other comforters have faced these issues in design and craftsmanship. Besides being functional, this comforter is also pleasing to the eyes. Reviewers like the khaki color, which pulled together the look of their bedroom nicely. The color is very steadfast, and there haven’t been any reports of fading or color loss after washing. This comforter is also quite long, covering the whole length of the bed and dusting the floor which guarantees that sleepers will stay covered throughout the night. The Nautica Eastbourne Plaid Comforter appears to be a high quality product, and a great addition to any bedroom. 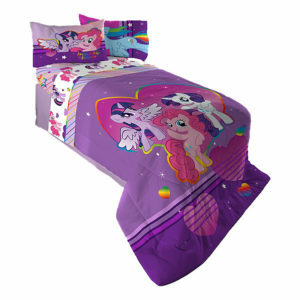 There have been no major issues reported with this comforter, as all of the purchasers have been very satisfied with the quality, comfort, and style that it provides. As more customers choose this comforter for their bedding needs, more reviews detailing its benefits and challenges will be available. Earning four and a half stars by reviewers so far, the results seem to point to it being a popular item. 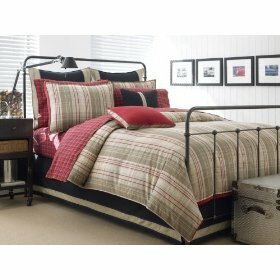 CLICK HERE to buy the Nautica Eastbourne Plaid Comforter. If you are looking for beautiful comforters that provide warmth and comfort, you will find exactly what you are looking for at Pioneer Linens. 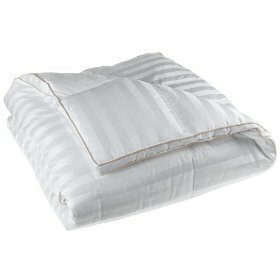 You will find comforters that are as warm as goose down but with only half the weight. The range is varied and beautiful.